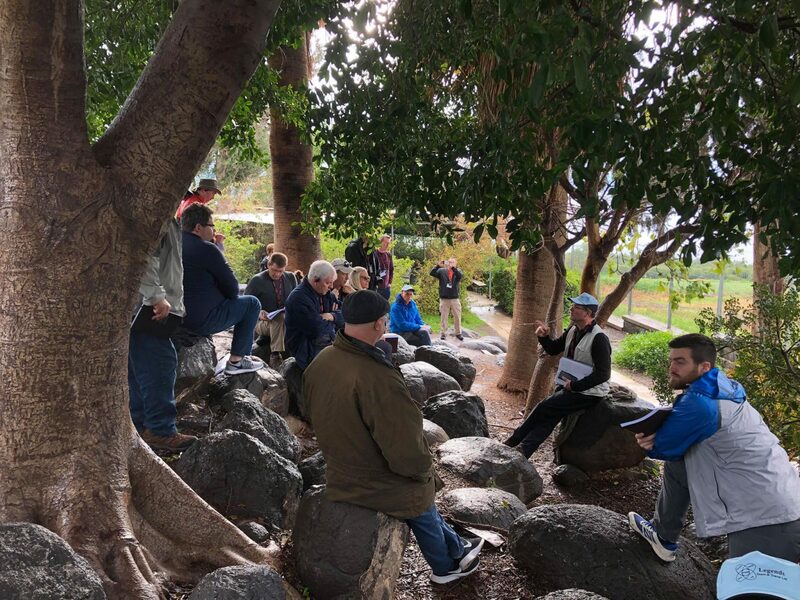 A group of pastors, spouses, and ministry leaders from Charis Fellowship congregations are currently touring Israel with Dr. Randy Smith, teaching pastor at Grace Church, Sebring, Fla., who also leads tours to the Holy Land. This trip is hosted by Inspire – Charis Pastors Network (formerly Association of Grace Brethren Ministers). It began February 5 and continues through February 15. Click here for an overview of the trip. 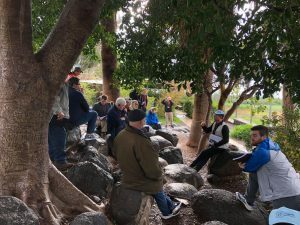 The photo at right was taken at the traditional site of the Sermon on the Mount and submitted by Cari Serafino, who is on the trip with her husband, Greg, the pastor of Grace Brethren Church, Osceola, Ind.